I tested out a new recipe! I’ve elevated our marriage to a whole new level by making Chicken Tacos. If only I had known long ago that this would be Nathan’s love language, I wouldn’t have waited 8 1/2 years to make it! Put the chicken, taco seasoning and salsa in the crockpot and cook on low for 7 hours. When it was ready, I shredded the meat and put it back in the crockpot (it was off at that point) until Nathan got home so it would stay warm and tender. Serve it with your favorite taco toppings. It was so easy and very yummy. 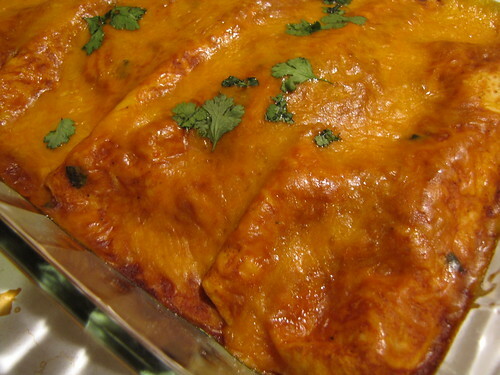 This has become a favorite recipe of ours and I thought I would pass it along! Brown the beef and drain. Add pasta sauce to beef. 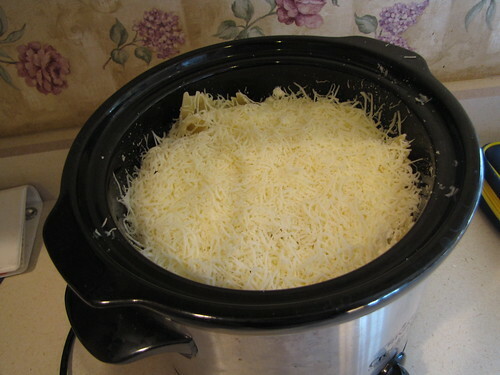 In the crock pot, layer half each of beef mixture, pasta, cottage cheese and shredded cheese. Repeat. Cover and cook on low 6 hours. 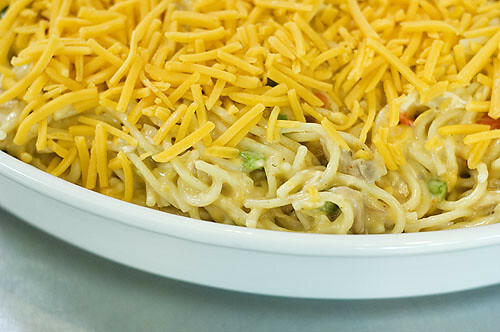 We had some friends over and had chicken spaghetti today from my Pioneer Woman cookbook. It was really good and not hard to make. You can find the recipe by following the link above. I think the secret to the “zip” of this recipe is the tiny bit of cayenne pepper and the seasoning salt. It makes the taste more interesting than you would expect. The little bit of red is pimento and the green is green pepper. I diced it nice and small so my kids wouldn’t pay much notice. It seemed to work! We had our friends, Tom and Jen, over tonight and I tried out one of my recipes from my Pioneer Woman cookbook (thanks for the cookbook, Kylene!). 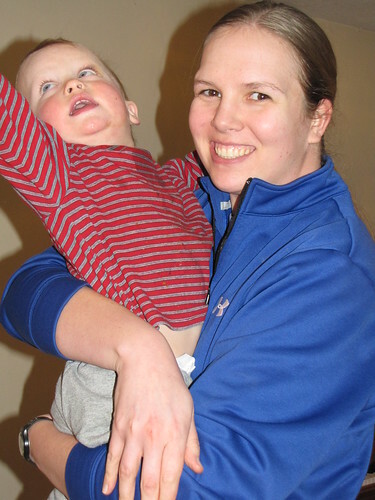 Isaac loves his friend, Jen! We had so much fun and now we’re tuckered out and ready for bed! 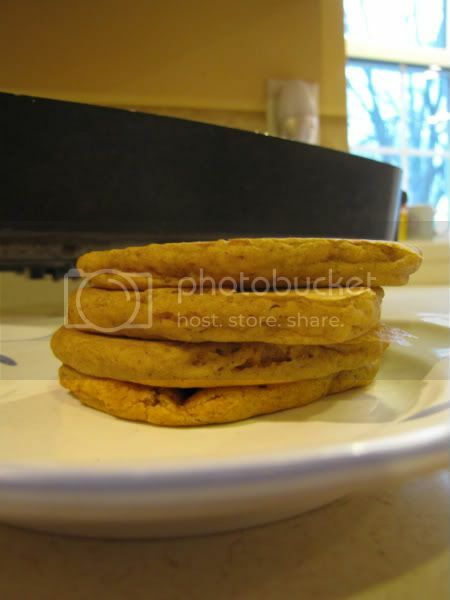 Author amyPosted on January 9, 2011 Categories cooking, life1 Comment on Dinner Party! Sundays are my usual day for menu planning and grocery shopping. Yesterday, as I was planning out our meals for the week, I decided that I really wanted to plan meals that we can look forward to enjoying together. I know it sounds really obvious, but I’m thinking about food a little bit differently. I eat a lot. Most of what I eat is junk or not something I really love. It’s there so I eat it. I’m trying to cut out excess munching, grazing and snacking. Having good meals to look forward to can help with this. At least I think and hope it will. Tonight we had simple comfort food, but it was yummy. 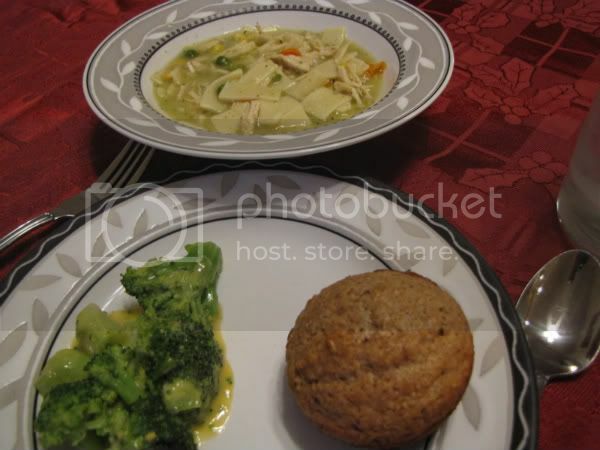 Chicken noodle soup, honey bran muffins and broccoli with cheese. It’s probably not something that everyone would enjoy, but we liked it and there was enough for lunch for Nathan for tomorrow! We’re adjusting to the return to standard time. Today was harder than yesterday. Isaac was a little more difficult. Everyone is a little tired. I hope everyone perks up for Nathan’s birthday tomorrow.